Kasco Marine proudly presents the popular 3400JF model. It is great for medium size ponds and when multiple fountain patterns are desired. 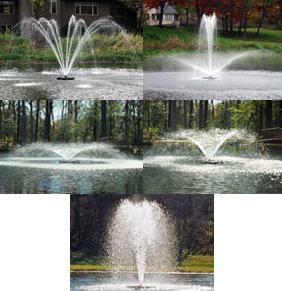 The 5 fountain patterns range from 7′ in height to 20′ in diameter. With 5 multiple fountain patterns, you have the freedom to adjust the aerating fountain to fit your pond, weather conditions, and your tastes. 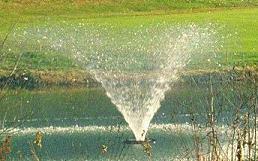 It does a great job at adding oxygen and improving your pond or lake aeration. The 3400JF Floating Aerating Fountain is available in 120V and 240V, 60Hz models. The 3400JF includes a GFCI protected control box. The C-25, 120V control with timer, GFCI protection, and photo eye for light operation comes standard. The 3400HJF is supplied with a state-of-the-art GFCB protected control panel, model C-85. Add an optional Fountain Lighting Package to the 3400JF to extend its beauty into the nighttime hours. 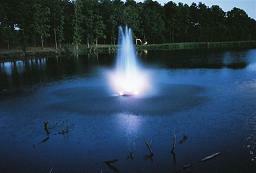 Kasco Marine�s 4400VFX 1 hp floating aerating fountain is ideal for medium to large ponds. The classic Kasco �V� fountain pattern, now a larger 8′ tall x 26′ wide, creates an inspiring aesthetic display. The 4-Blade Prop reduces slippage past the prop blades giving the 4400VFX the highest water flow per kilowatts of power used of any unit in the Kasco line. 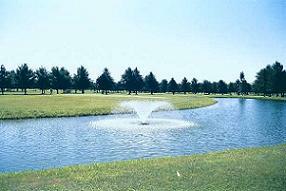 It excels at adding oxygen and improving your pond or lake aeration. The 4400VFX is available in 120V or 240V, 60Hz models. The 4400VFX includes a GFCI protected control box. The C-25, 120V control with timer, GFCI protection, and photo eye for light operation comes standard. The photo eye allows you to set your timer for the hours of operation and when it is dark the lights will activate. No electrician is required to install the C-25 Control or the 4400VFX if an existing 120V, 15 amp receptacle is available. The 4400HVFX is supplied with a state-of-the-art GFCB protected control panel, model C-85. 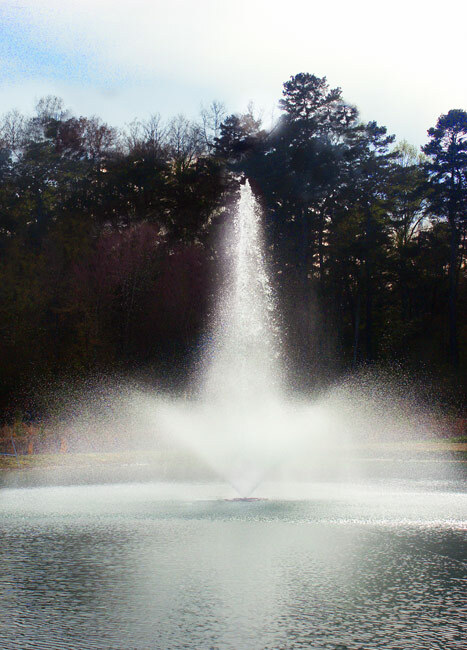 Add an optional Fountain Lighting Package to extend its beauty into the nighttime hours. Kasco Marine proudly introduces the 4400JF model. This highly requested unit is perfect for medium size ponds and when multiple fountain patterns and pattern height are desired. It includes 5 interchangeable nozzles standard, patterns range in height and width and be greater than the 3400JF model. The 4400HJF is supplied with a state-of-the-art GFCB protected control panel, model C-85. Add an optional Fountain Lighting Package to the 4400JF to extend its beauty into the night time hours. 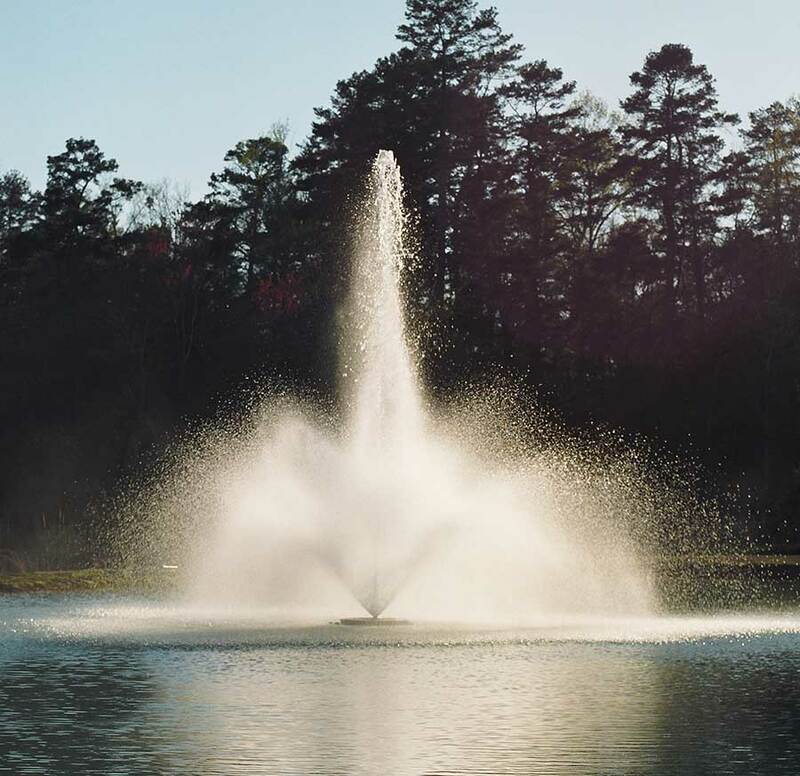 The 8400JF (Single Phase) and 2.3JF (3 Phase) 2 hp floating decorative fountain is great for larger ponds or when multiple large patterns are desired. It comes standard with interchangeable nozzles, the 6 fountain patterns range from 22′ in height to over 40′ in diameter. With 6 multiple fountain patterns, you have the freedom to adjust the aerating fountain to fit your pond, weather conditions, and your tastes. The 8400JF & 2.3JF are precision-engineered to maximize oxygen flow and provide maximum benefit to your pond or lake. It is available in a 240V Single Phase and 208/240Vac 3 Phase, and 60Hz model. The 8400JF, single phase unit is supplied with a state-of-the-art GFCB protected control panel, model C-85. The 2.3JF, 3 phase unit is supplied with a simple to use, all inclusive GFI protected 3 phase control panel, model CF-3235. Add an optional Fountain Lighting Package to extend its beauty into the nighttime hours.